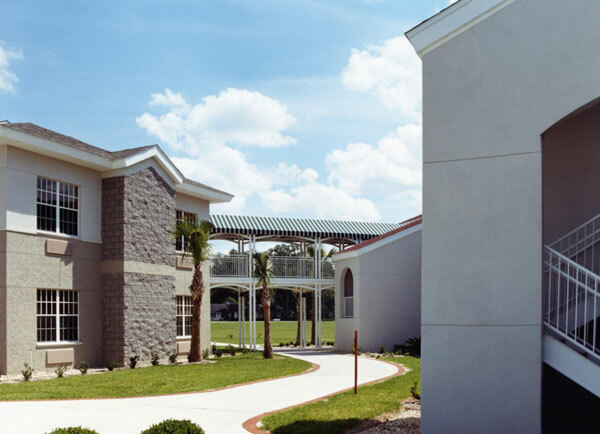 The retirement campus for the Loyal Order of Moose is a continuing-care retirement community that provides a full range of elder care, from independent living to full skilled nursing for its 458 residents. 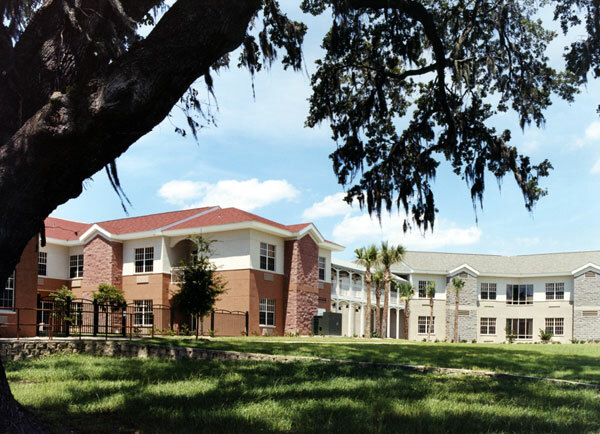 This project provides 54 assisted living beds in two buildings that are linked to the skilled nursing facility and the activity center. To minimize walking distances, six suites are located in short corridors that lead to common areas, such as dining, parlors and offices. Six couples bedrooms are also provided. An exterior lanai and four porches on each floor encourage residents to enjoy the beautiful site next to the St. Johns River.